In a Nutshell: Kasasa is a financial technology and marketing company that is partnering with community banks and credit unions to offer a new category of lending to consumers. Kasasa Loans™ give borrowers the option to “take back” any overpayment on an existing loan to use as needed with no withdrawal maximums or penalties. The Kasasa Loan Dashboard provides a digital interface on desktop and mobile to easily manage loan payments and see your available take-back balance, which can be deposited into a checking account with the click of a button. Having healthy finances requires following a few golden rules, like keeping debt balances low and having enough savings for a rainy day. Suze Orman suggests having eight months’ worth of salary saved for unexpected expenses or life changes like a job loss, yet a recent study found 57% of Americans have less than $1,000 in their savings accounts. Meanwhile, the vast majority of Americans are currently in some form of debt. So not only do we not have enough savings, we owe money, too. With this information, it’s safe to assume most of us are making just enough to keep our heads above water, or just downright overspending. When we do have a few extra dollars to spare, paying more toward an existing loan balance, such as a car payment or personal loan, is far from the most attractive option, though we know it’s the fiscally responsible thing to do. Or you may want to put that money toward your debt balances, having the best of intentions, but fear you may need the money later and decide to take the safe route of depositing it into a savings account (all while your debt continues to accrue interest). Plus, once you pay your lender, there’s no getting that money back. But that isn’t the case anymore, thanks to the new Kasasa Loan. Kasasa is a financial technology and marketing services company that has created a new patent-pending loan category that allows borrowers to “take back” any extra money paid toward a loan balance. 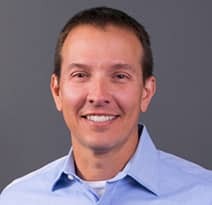 Keith Brannan is the Chief Marketing Officer at Kasasa. We reached out to the company for more information and spoke with Kasasa’s Chief Marketing Officer, Keith Brannan, about how it all works. Take-backs are a proprietary feature that is only available from Kasasa and its partnering institutions. The new loan offering will likely benefit its partners just as much as future borrowers by attracting new customers who want to take advantage of its unique benefits. It’s a simple concept that, surprisingly, hasn’t ever been a feature of loans. It kind of works like a home equity line of credit (HELOC) — if your home has equity, you can take a loan out on that equity. In the case of Kasasa Loans, if you’ve ever paid more than the minimum required payment on an auto or personal loan, for example, you can “take back” the extra money. “The Kasasa Loan has what we call a take-back feature, which allows someone to pay ahead on their loan, above the minimum payment, and if something were to happen or they just decide to take some money out to buy a new pair of shoes, they can hit a button and get back that money that’s been paid above and beyond their payment rate,” Brannan explained. The money is quickly deposited into a checking account, and borrowers will have access to it with no penalties. Your take-back balance is based on any over-payments you’ve made on your loan. If a take-back balance exists, you can borrow from it at any time with no withdrawal maximums. The concept is super simple, and according to Brannan, millennials — the newest generation of banking customers — took to the idea readily, as did boomers. In fact, 98% of consumers said they’d refinance an existing loan at the same rate to get this loan. 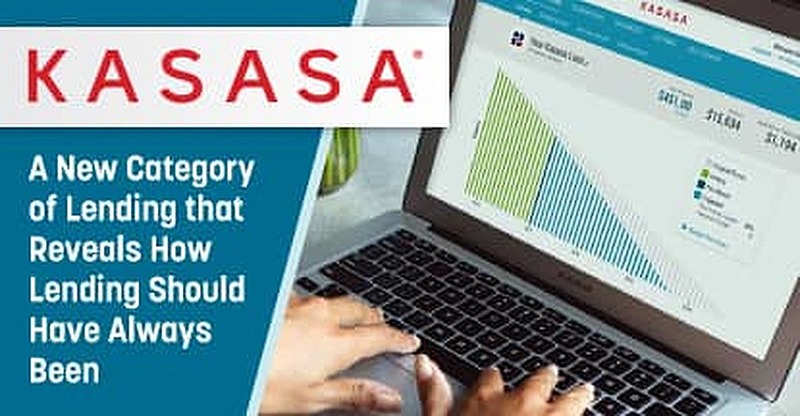 The Kasasa Dashboard is your personal digital hub for managing loan payments and accessing your take-back balance, which Brannan described as “one of the coolest things about this,” providing the consumer with full transparency. “Let’s say for instance you have a six-year car loan, and you’re paying $400 a month. You can go in and adjust the payment amount and the dashboard will show you a graph,” Brannan explained. “If you adjusted up by $40 a month you’ll pay it off in this many months, you’ll save this much in interest, and you’ll be building up this take-back balance, so if you ever need it, you can get that money back. It also shows you what your take-back balance will be every month for the term of that loan,” he continued. 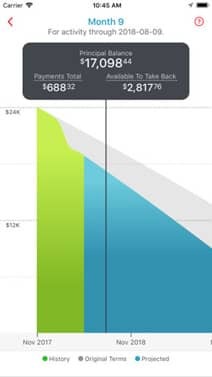 The visual environment the dashboard creates helps borrowers make smart financial decisions by showing them the quickest route to paying off the loan debt, while also providing a savings cushion to fall back on if needed. Kasasa currently partners with several institutions and credit unions to offer the Kasasa Loan, with new partnerships on the way. The future of Kasasa is bright, as it aims to encourage consumers to pay more than the minimum amount required on their loan balances without the fear of needing the money later and having no recourse. Kasasa is at the forefront of fintech and payments innovation as the future of lending continues to evolve. In addition to this new loan classification, the company plans to introduce new asset classes in the coming year and beyond to supplement their existing financial products that will educate consumers on financial best practices. Potential customers should remember to always borrow responsibly and pay their bill on time to maintain a good credit standing.